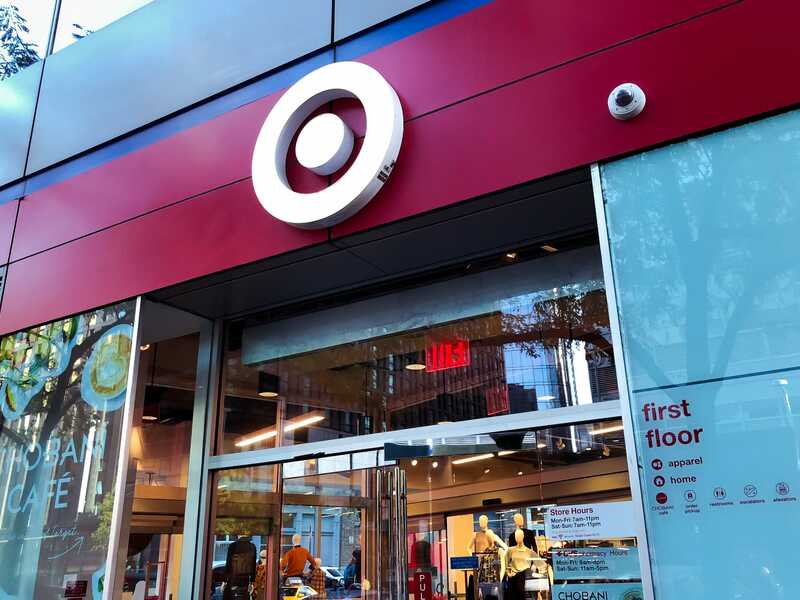 Business Insider/Jessica TylerThe small-format Target store in Tribeca carried most of what Target traditionally has, but not everything. Target has been growing its small-store fleet in order to attract shoppers living in big cities. The stores carry most of what a traditional Target does, and they offer similar options like online-order pickup and same-day delivery. 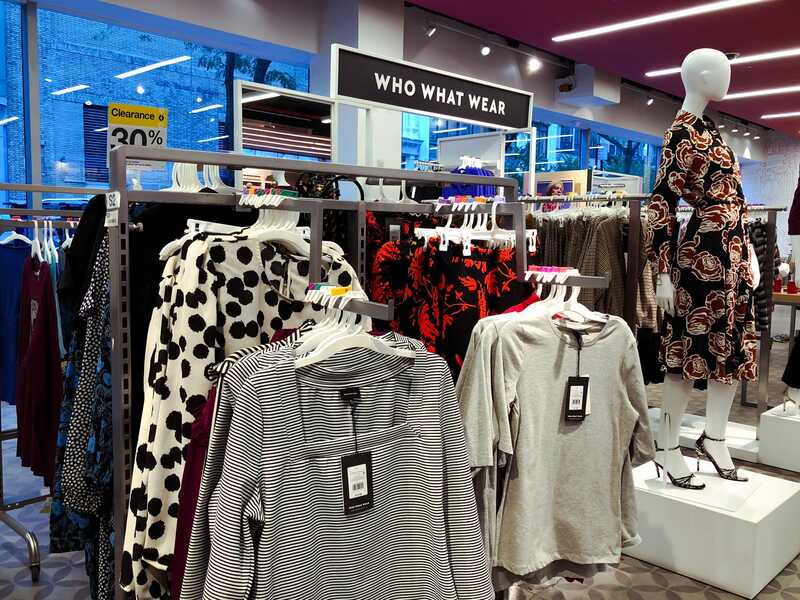 We shopped at a small-format Target in New York City and a more traditional Target store in Jersey City. Here’s how they compared. The stores are designed to reach consumers living in densely populated areas, opening in cities like New York, Chicago, and Los Angeles. 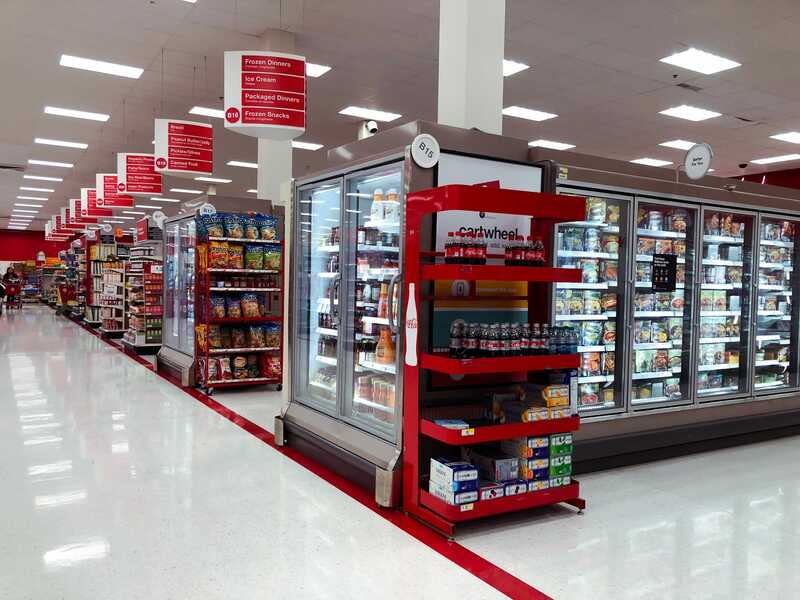 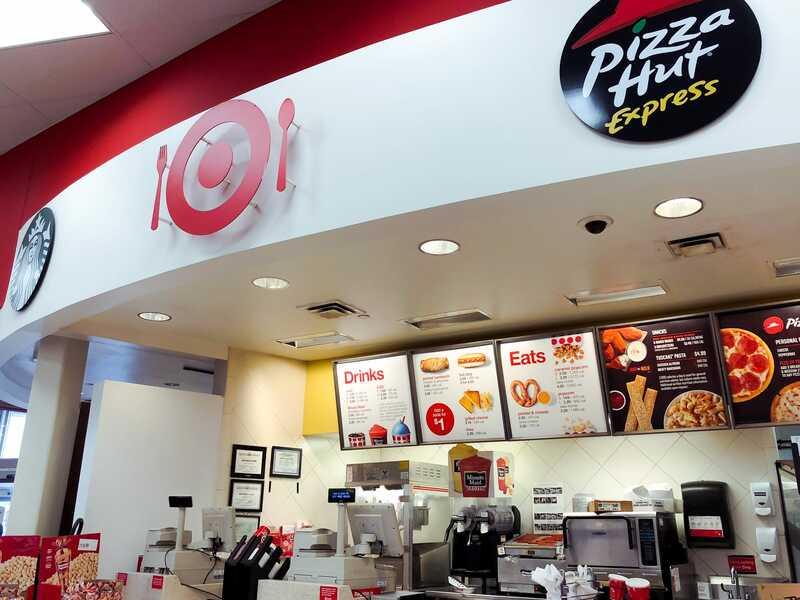 Target plans to have over 130 of these small-format stores by the end of 2019. 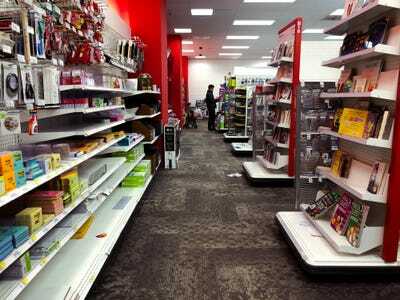 The smaller stores currently offer most of the same services as traditional Target stores, like same-day delivery and online-order pickup. 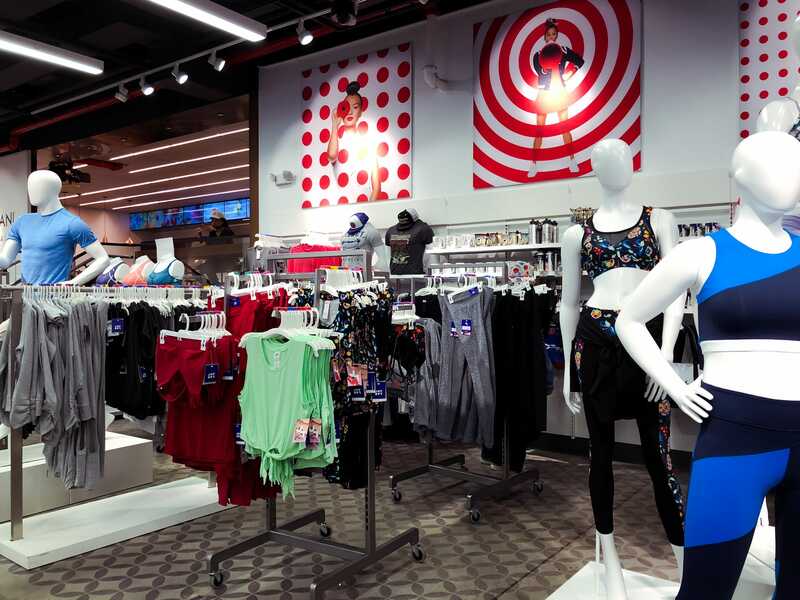 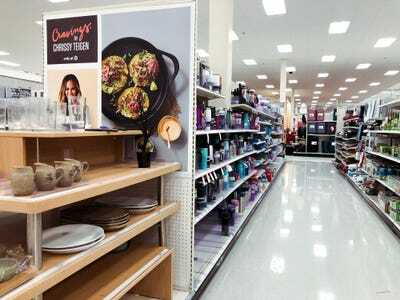 In its most recent earnings report in August, Target reported that comparable sales were up 6.5% in the second quarter – Target’s best report in 13 years. 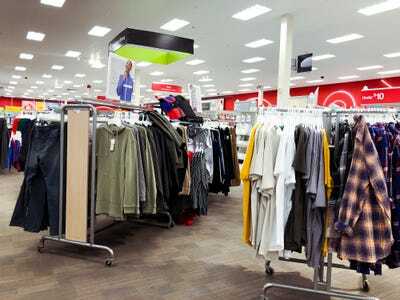 Traffic to Target’s stores rose 6.4% in the biggest increase since 2008, when the retailer first started reporting that metric, according to the Associated Press. 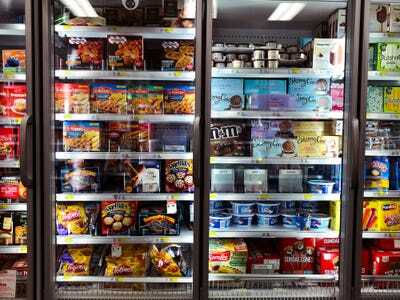 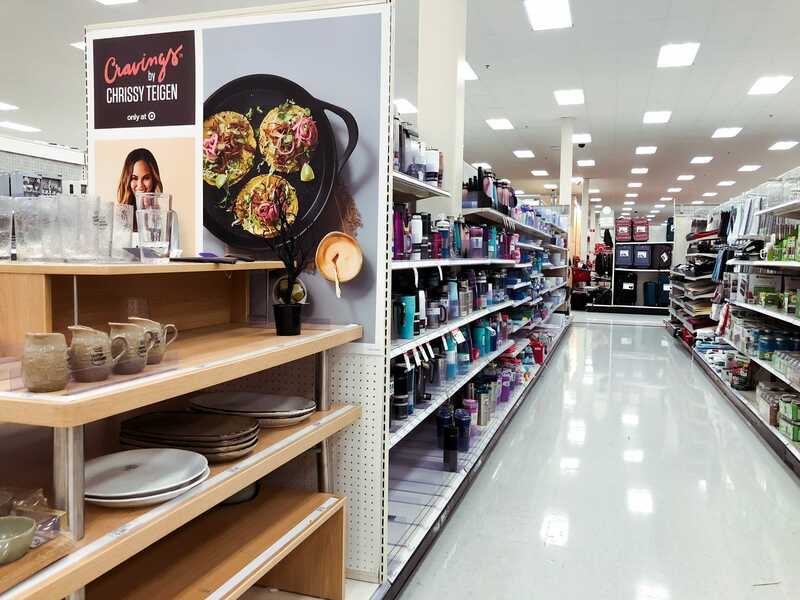 “There’s no doubt that, like others, we’re currently benefiting from a very strong consumer environment – perhaps the strongest I’ve seen in my career,” Target CEO Brian Cornell said in a call with investors in August. 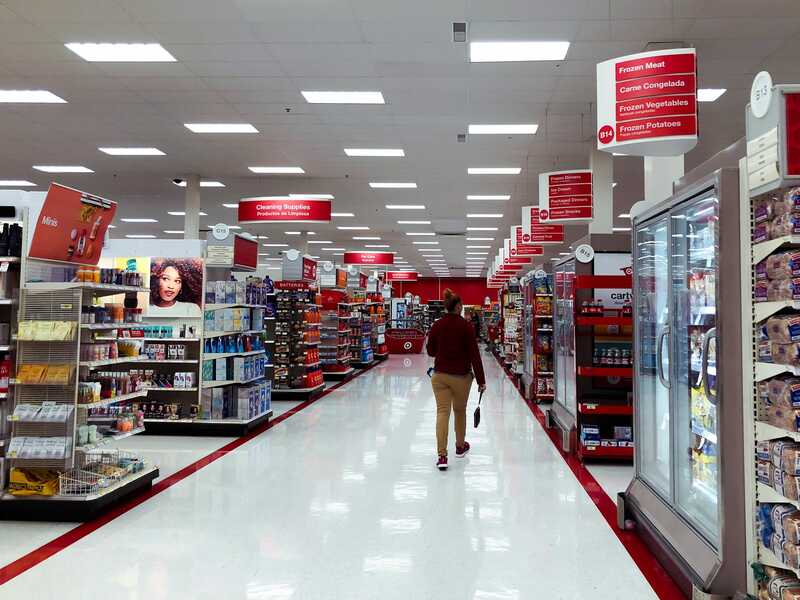 Target’s smaller stores are a fraction of the size of a full Target store. 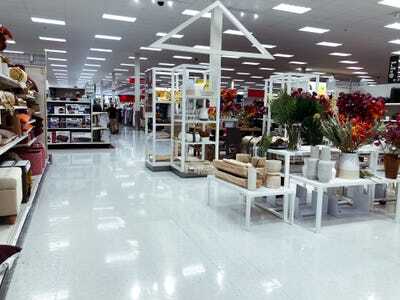 Full stores average 145,000 square feet, while smaller stores average 12,000 to 80,000 square feet. 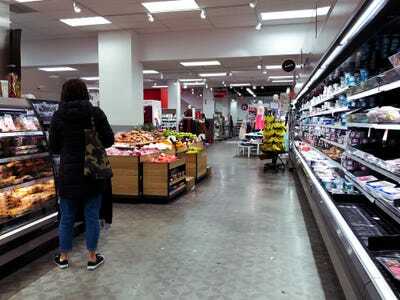 Still, they carry many of the same categories, including clothes, electronics, and groceries. 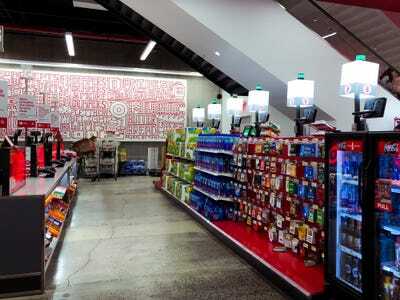 First we went to the smaller Target store in Tribeca, in Lower Manhattan. 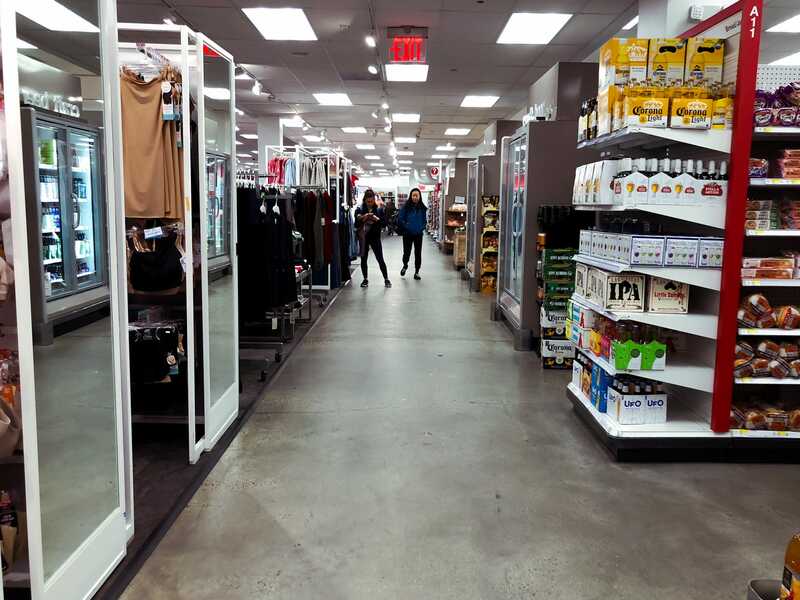 On the first floor, there was a women’s fashion section on the left, and athletic wear on the right. 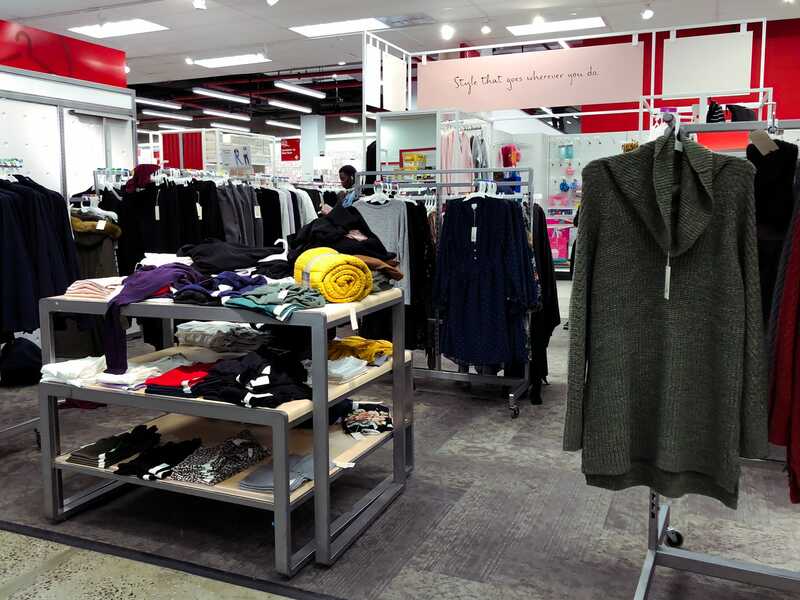 The clothes on the first floor were mostly business casual. 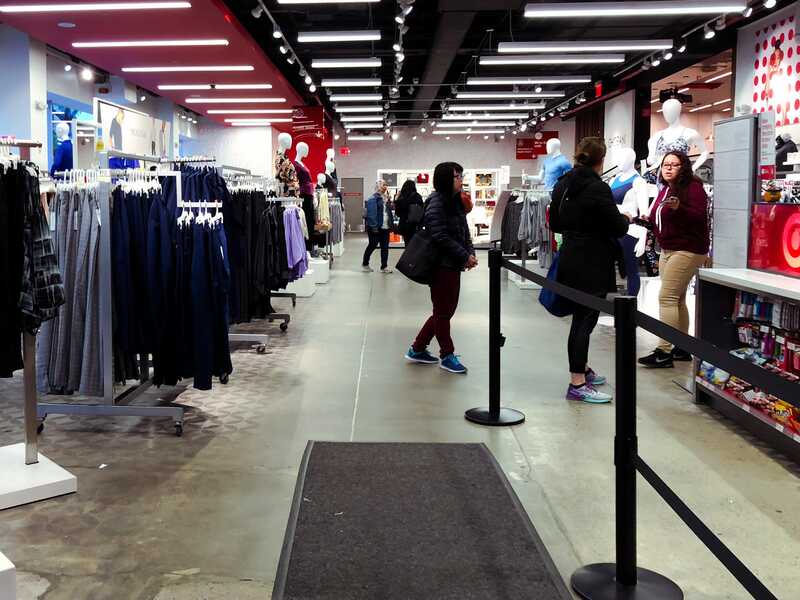 Both men’s and women’s workout gear were in the corner of the store. There was a surprising amount to choose from, but not as much as at the full-size Target. 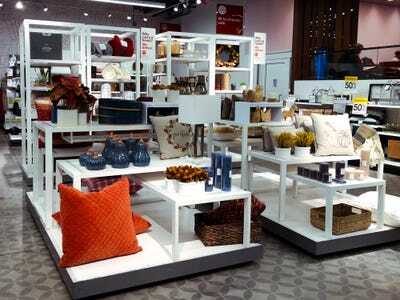 In the back of the store was a small home section with pillows, candles, and other small home decor items. 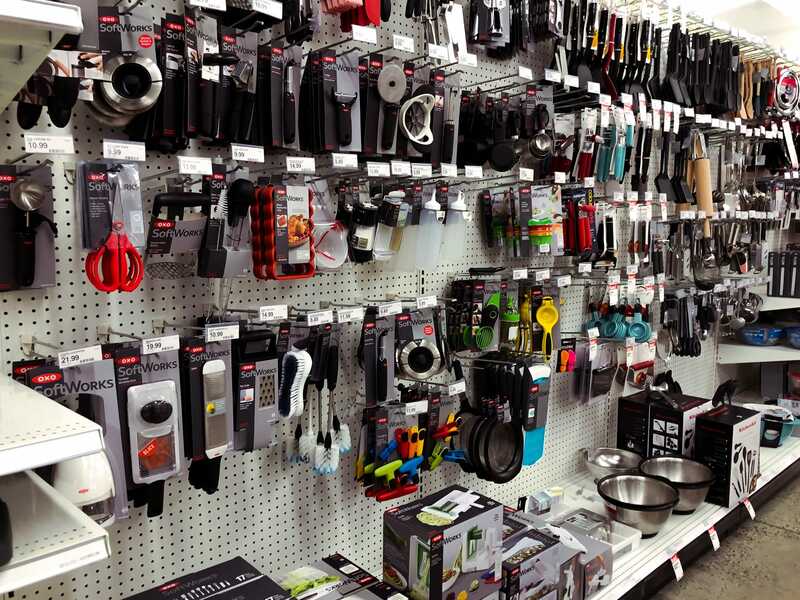 There wasn’t a ton to choose from, but there was enough to find what you needed. 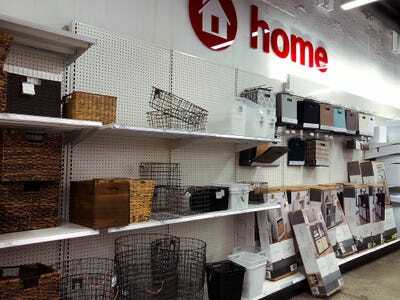 Near the home section was a sign explaining all of the different delivery options, including online-order pickup, same-day delivery, and free two-day shipping. 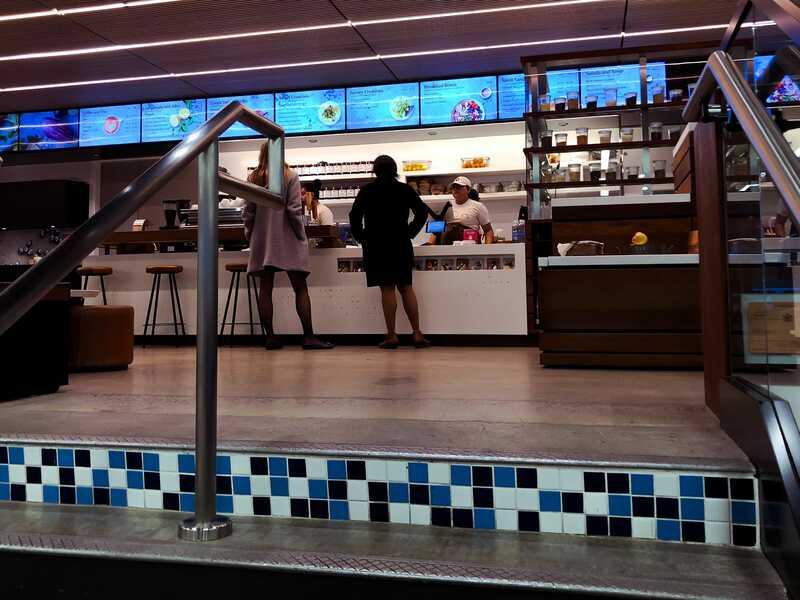 The first floor also had a Chobani bar with yogurt, sandwiches, soups, coffee, and dessert for sale. 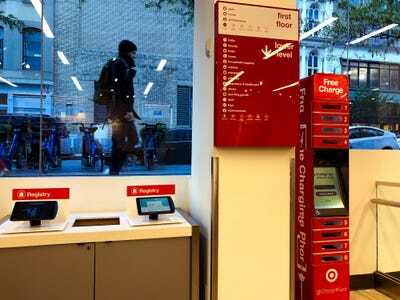 By the escalator there was a directory, registry kiosk, and a phone-charging station. The lower level was a lot bigger than the top floor. 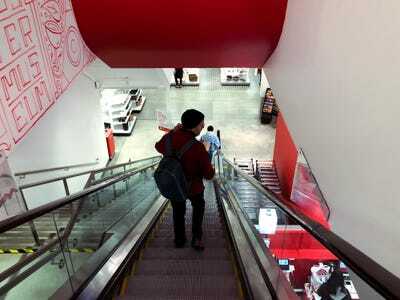 At the bottom of the escalator was a continuation of the home section from upstairs. 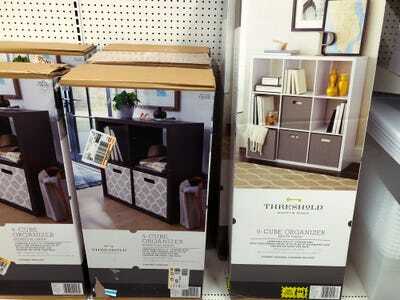 It also carried a small selection of furniture like bookshelves. 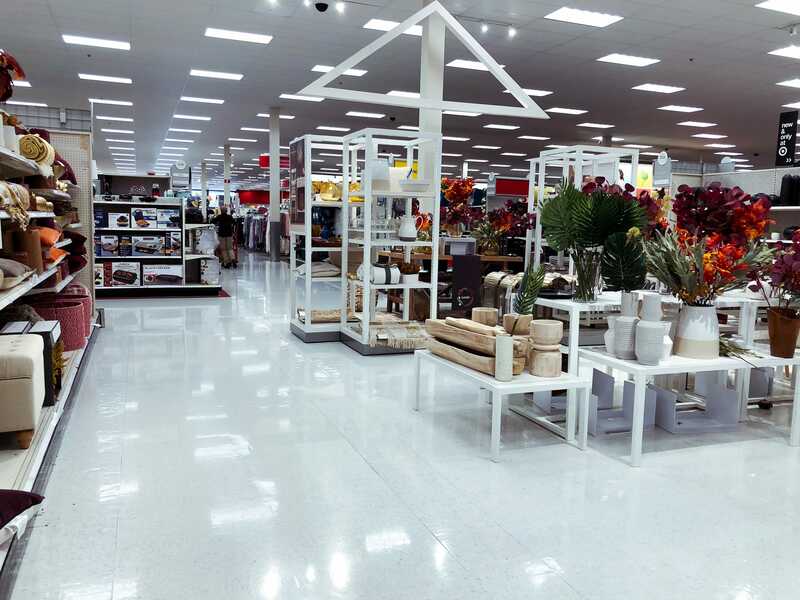 It carried a fraction of the furniture a traditional Target store has. 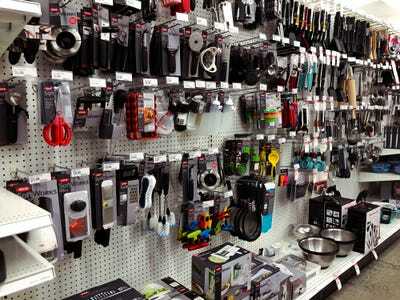 There was a wall with kitchen essentials. 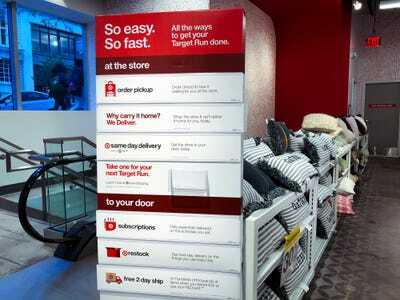 Signs everywhere advertised $US7 same-day delivery. 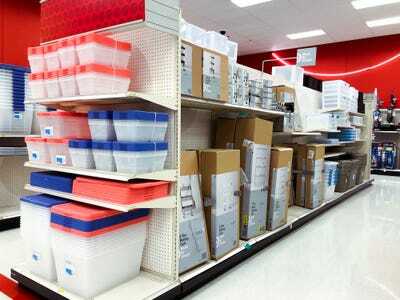 Towards the back of the floor were office supplies, craft supplies, and school supplies. 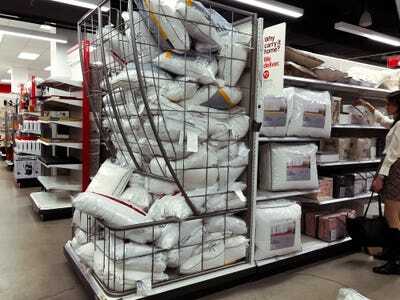 A lot was out of stock when we visited. Books were along the end caps of the aisles. 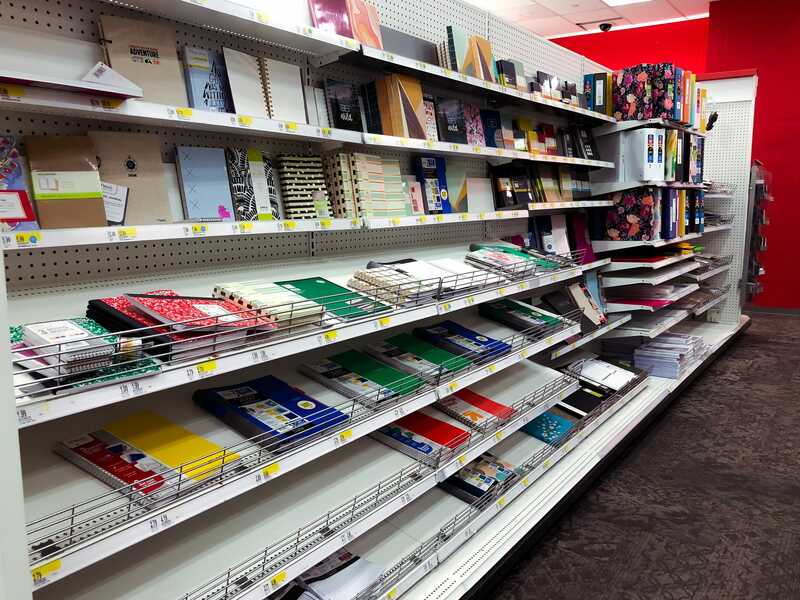 There was definitely a lot less to choose from than a traditional Target. … and a few aisles of electronics. 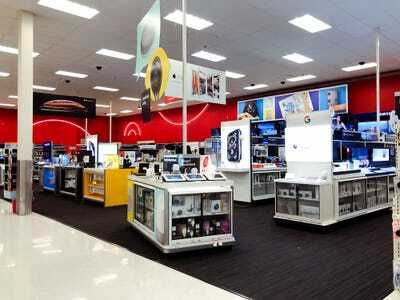 There were TVs, phones, headphones, and accessories. 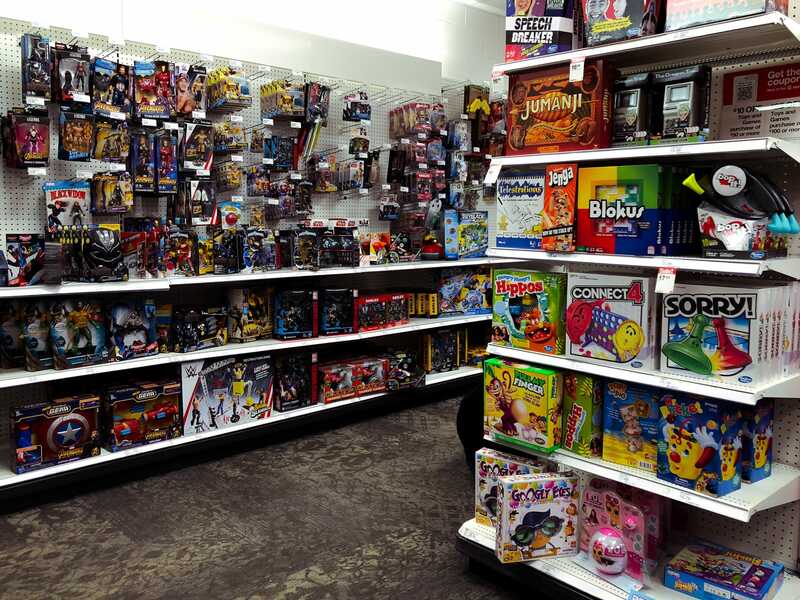 The toy section took up the entire back corner of the store. 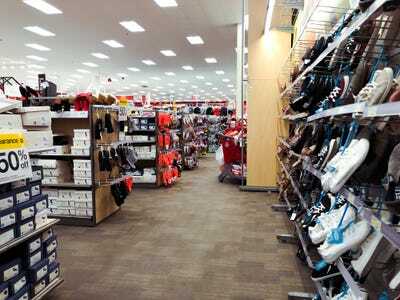 It also had a small aisle of sports equipment. 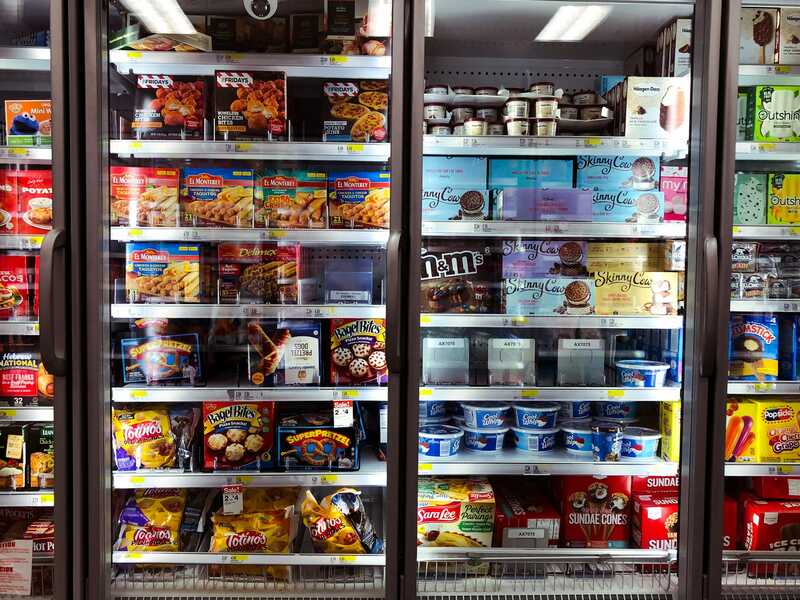 … and one aisle of frozen foods and dessert. There was a continuation of the women’s fashion section downstairs, as well as a small fitting room. It seemed a bit inconvenient to have the section split up between two floors instead of keeping it all together. 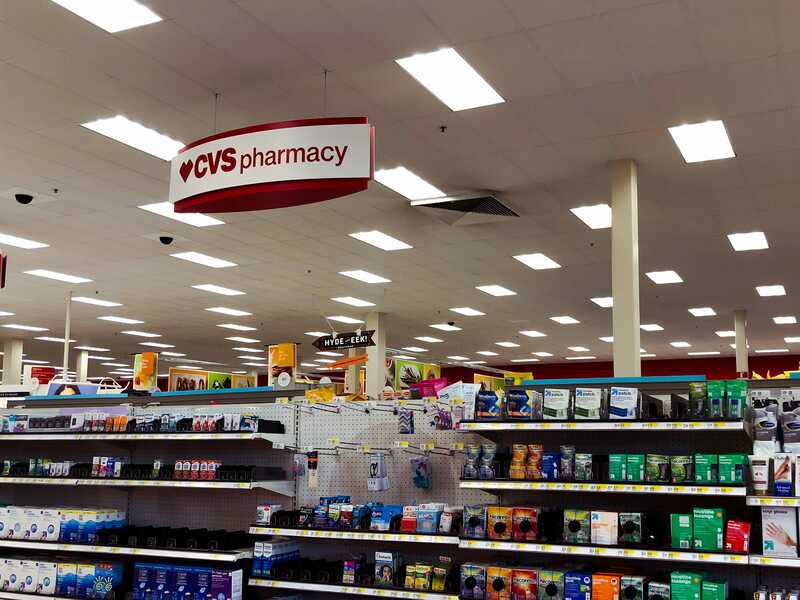 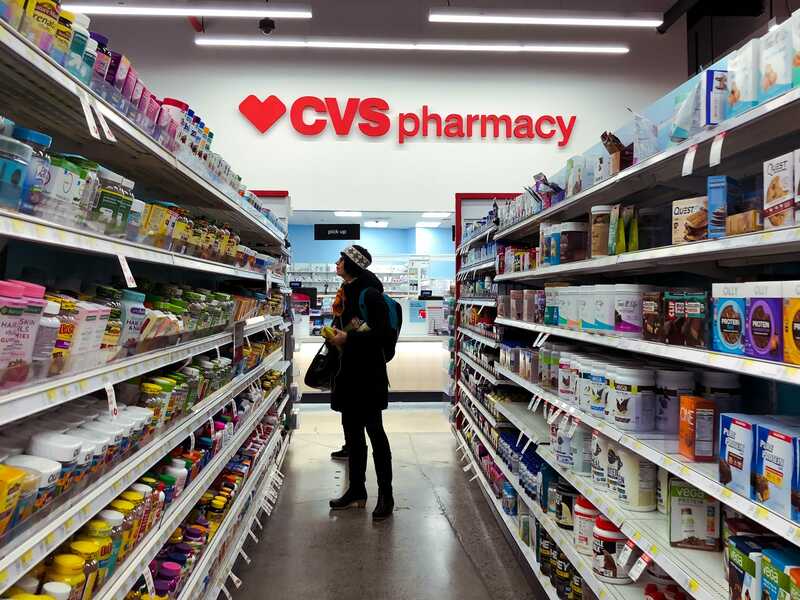 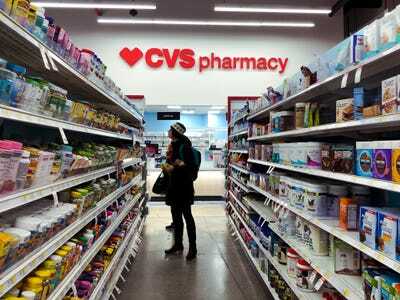 Near the registers was a small CVS pharmacy and drugstore products like over-the-counter medications and toiletries. There were a lot of open registers, and a lot of self-checkouts as well. The small-format Target carried almost everything a traditional Target does, but there was definitely less variety to choose from. We went to a full-size Target store in Jersey City next. 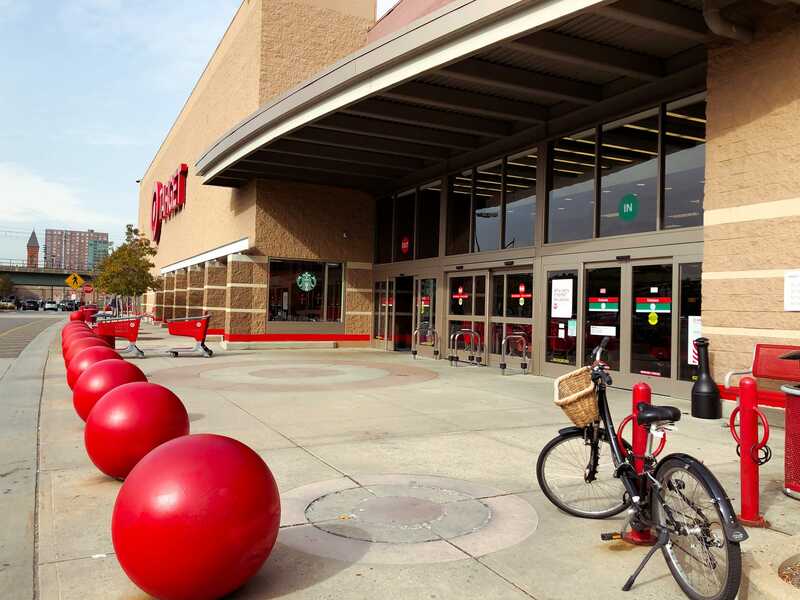 While it’s up for debate whether Jersey City would qualify as a suburb, this location is a good example of what Targets look like in the suburbs. 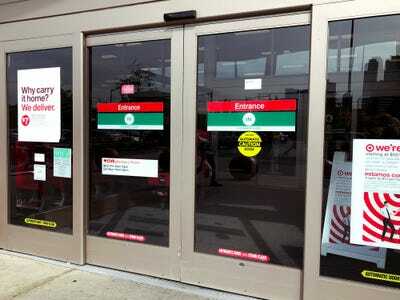 The doorway had a sign advertising $US7 same-day delivery, much like the smaller-format Target did. 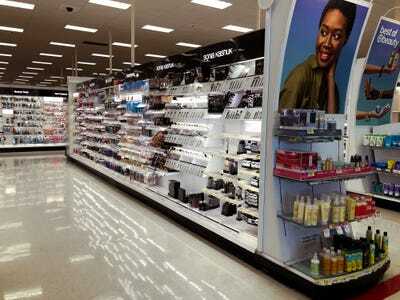 … and a cosmetics section, both of which were about double the size of the section at the smaller Target. 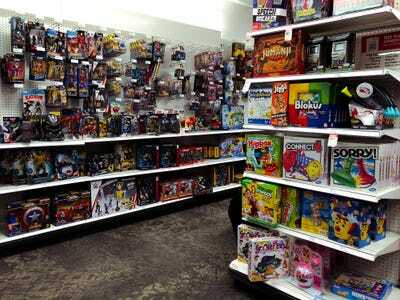 Also in the entrance was Bullseye’s Playground, which carries small products that are usually under $US5. 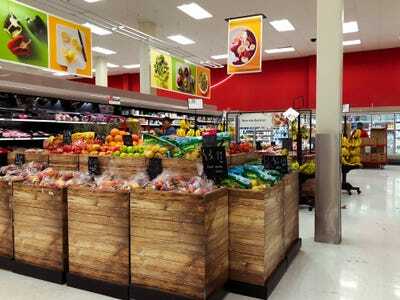 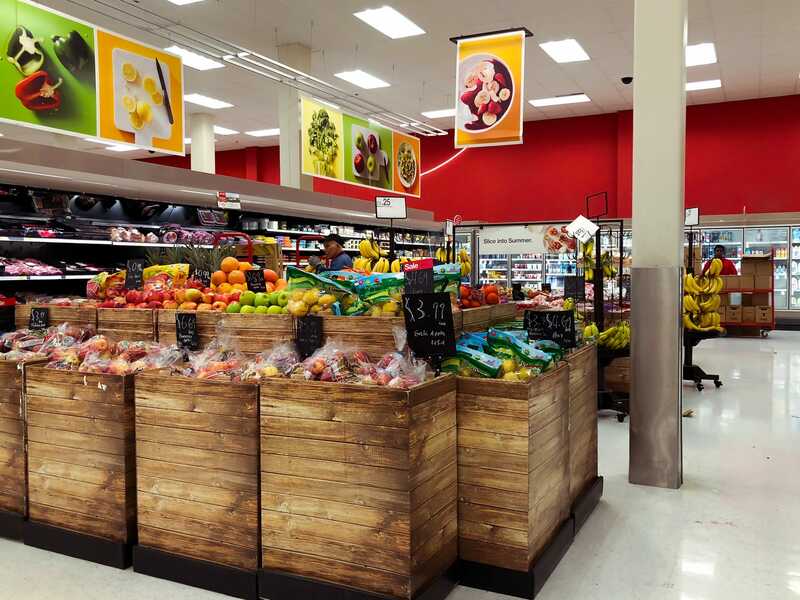 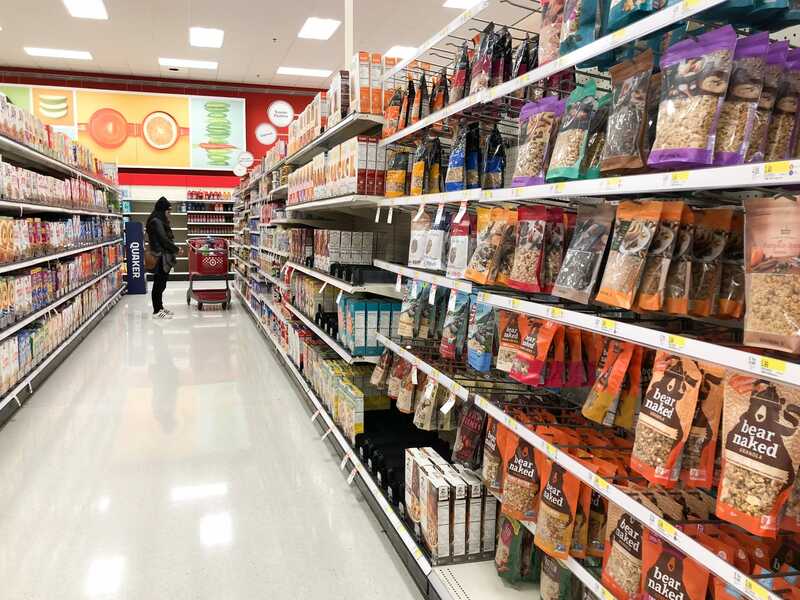 The grocery section took up a huge portion of the store, but the fresh produce aisle was almost identical to the one in the small-format Target. 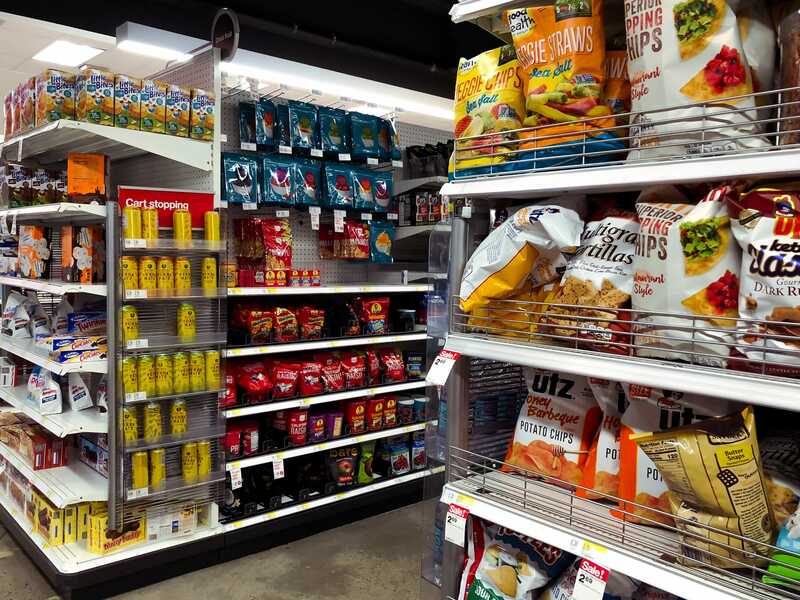 … and a much bigger variety of snacks. 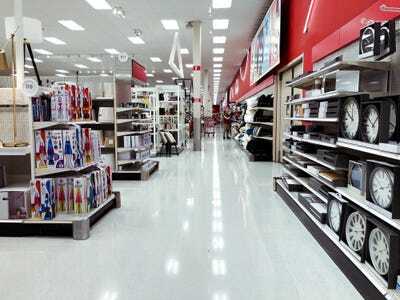 The aisles were also a lot wider, and there was more in stock. 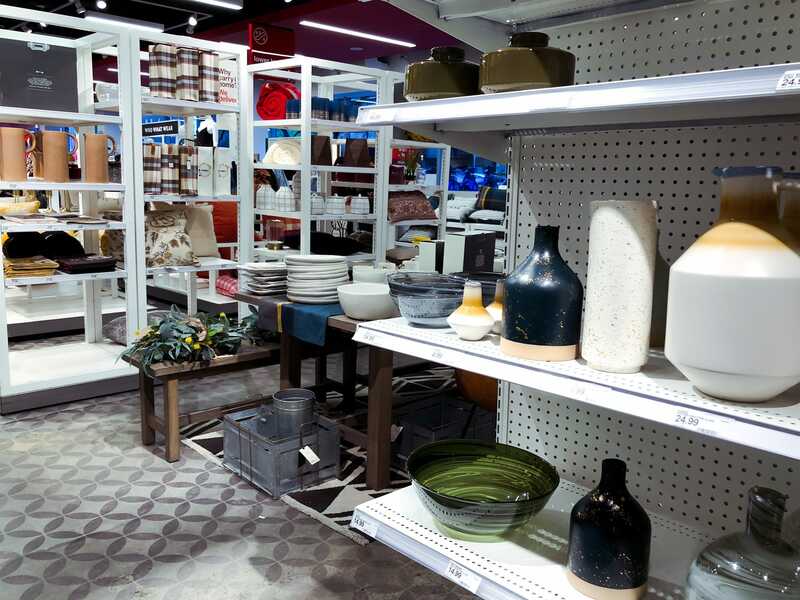 … and a massive section of the store dedicated to home decor and furniture. It had a lot more to choose from than the smaller Target, which seemed to focus on just the basics. 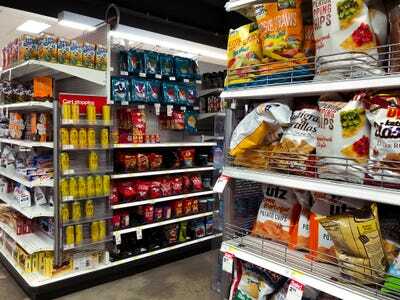 But a lot of the displays were the same. 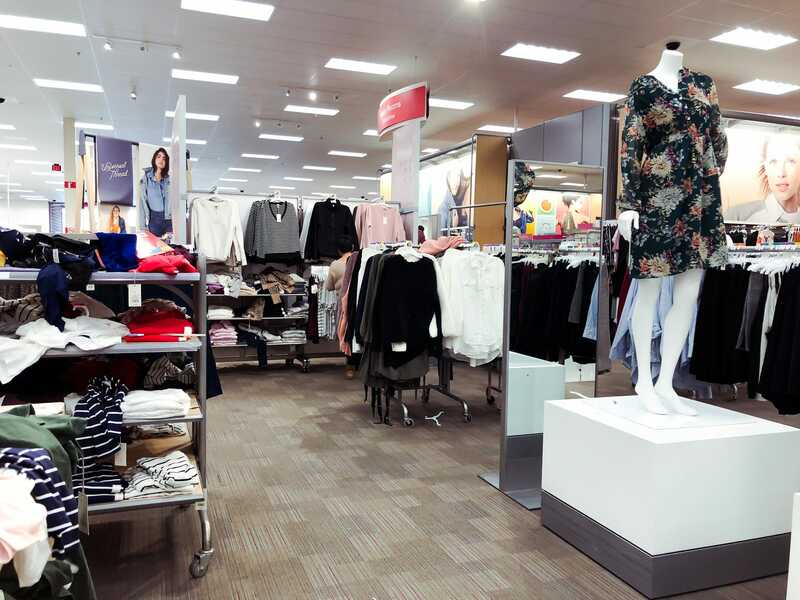 There were a lot more style options in the women’s department, rather than focusing primarily on business casual. It was also organised a bit better because the department wasn’t divided up throughout the store. … and a men’s department, neither of which I saw at the smaller-format Target. 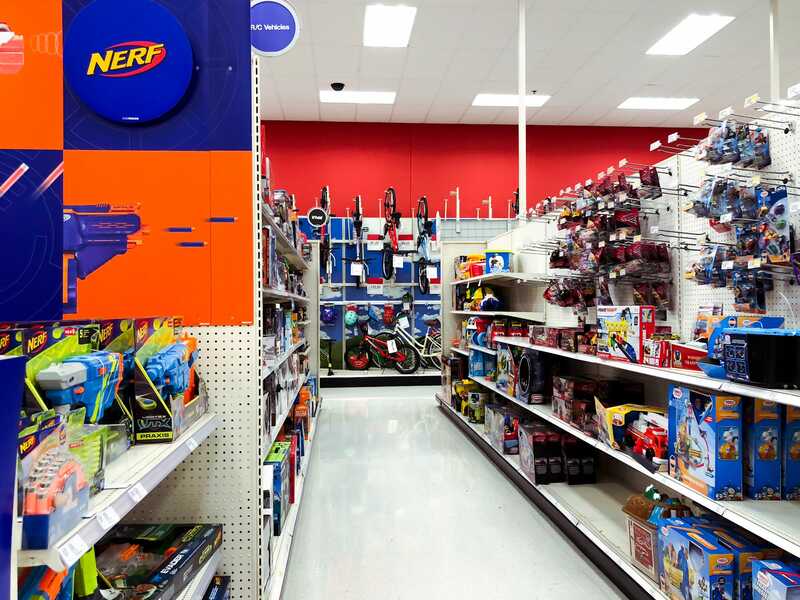 The toy departments were pretty similar, but the bigger Target carried products like bikes and skateboards, which weren’t available at the Target in the city. 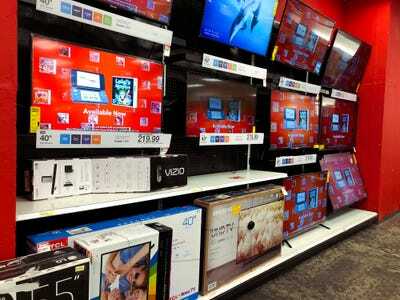 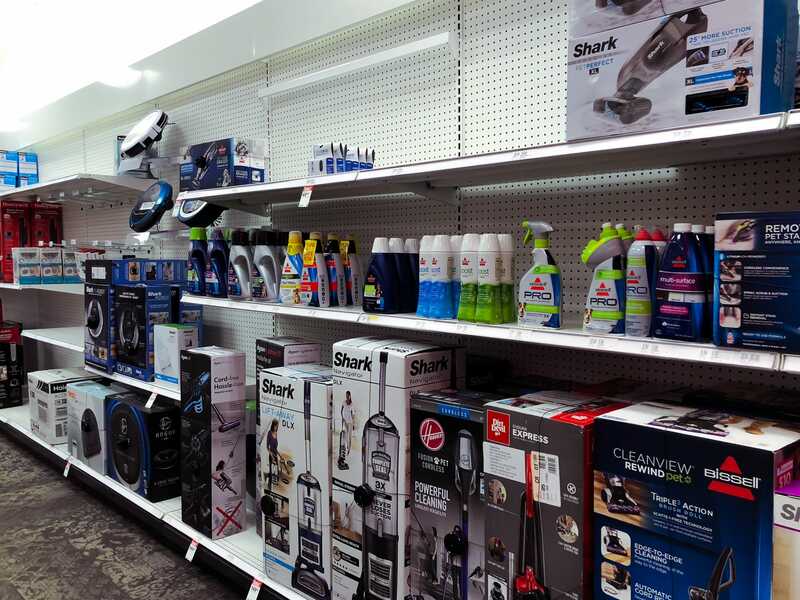 The electronics department was a lot more impressive at the full Target — it carried more of everything that the smaller Target had, plus more products like cameras and smart watches. 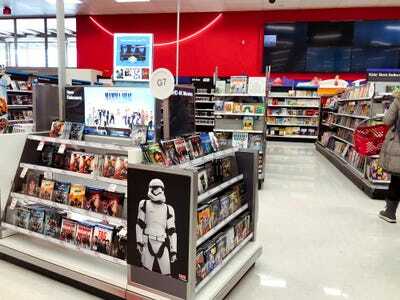 There was also an entire section of books and movies, as opposed to just a few of them on the end caps of aisles. 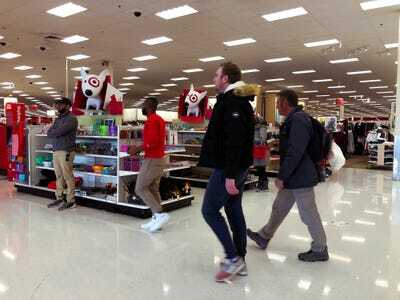 The small-format Target only had a small kiosk for gift registries, but the Target in Jersey City had an entire Guest Services center with a place for returns and exchanges, registry help, and an ATM. 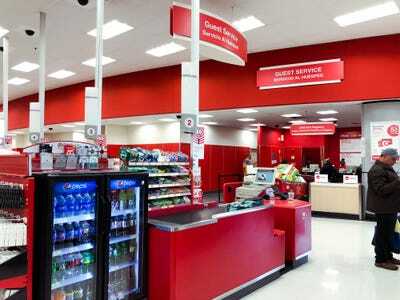 There was the same number of registers and self-checkouts as at the smaller Target store. After the checkout was a Pizza Hut and a Starbucks, as well as a small dining area. Naturally, the suburban Target carried more of a variety of products, but it also carried entire categories that the small Target didn’t, like shoes and cameras. 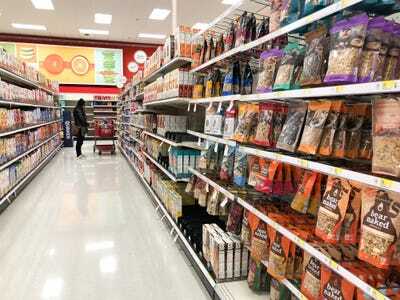 The bigger Target store was also a lot more organised, with bigger and more clear labels throughout the store. 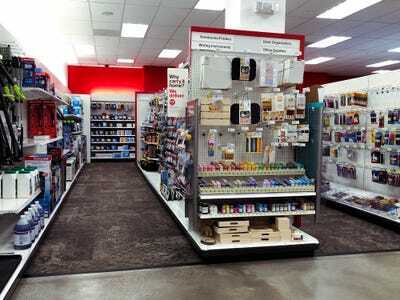 Still, the smaller Target has all of the essentials that a normal Target has, and it’s a lot more manageable than the full Target store, especially in a city. It definitely is quicker getting in and out of because it’s a smaller store with just as many registers, and it has the essentials. 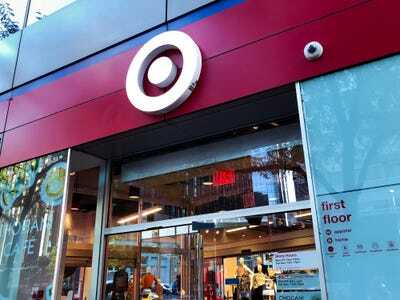 For anyone who has the option to go to both stores, the city Target is definitely more convenient.